When it’s time to shop for a new vehicle, that means it’s probably also time to shop for a new dealership. If you’ve decided on purchasing a Ford vehicle, you may have a lot of questions about the Ford dealerships near you. Maybe you’re wondering how to find a reputable dealership or aren’t sure what vehicles to expect at your local Ford dealer. From inventory and financing to certified pre-owned programs and in-house service centers, we’ll answer your most pressing questions about Ford dealerships near you below. Consider this your Ford dealership near me FAQ cheat sheet! #1. How Do I Find a Ford Dealership Near Me? To locate a Ford dealership near you, you can easily conduct an online search of “Ford Dealerships Near Me” and see what dealerships pop up for your location. However, if you’re local to the Carbondale, Illinois area you may want to check out Vogler Ford. You can browse details about our inventory, service center, and finance options directly on our website or stop in for a visit today. #2. What Benefits Can I Expect from a Ford Dealership Near Me? With Ford’s dedication to its customers and these incredible benefits from your local dealership, you are sure to have a great car-buying experience. #3. What are The Popular Ford Vehicles for Sale? These are just some of the current and used Ford models that may be available at your local dealership. To learn more about what the Ford dealership near you has to offer, visit your local dealer today. If you’re interested in the inventory at Vogler Ford, you can check it out online on our easy-to-navigate website. #4. What About Upcoming Releases? We know what you’re getting at, and yes the Ford Bronco is making a comeback! While we don’t have all the details yet, this iconic SUV is scheduled to hit the market for the 2020 model year. Ford has stated that the 2020 Ford Bronco had been redesigned with an even bolder exterior and features the latest onboard technology. Adventurists, retro-styling lovers, and Ford enthusiasts are sure to appreciate what the 2020 Ford Bronco has to offer. 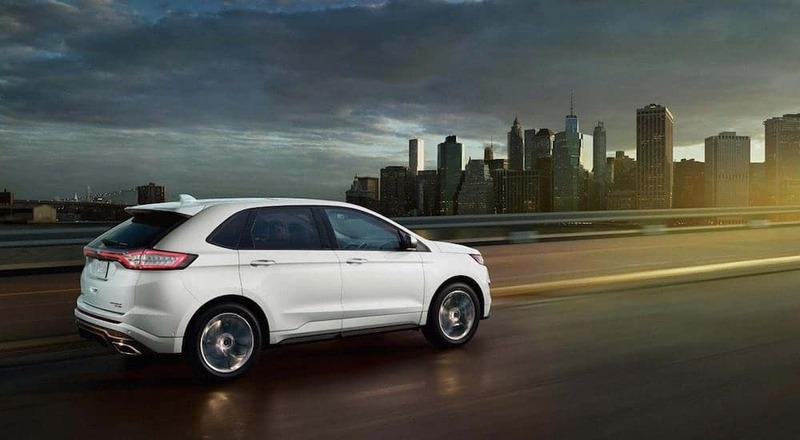 Of course, in addition to the release of this exciting vehicle, drivers can also look forward to the upcoming 2019 Ford models which are due to hit the market soon! #5. Will I Find Only New Vehicles for Sale? full inventory of new, used, and certified pre-owned vehicles. Ford dealerships are dedicated to pleasing their customers and aim to keep each segment of their inventory fully stocked with high-quality options. Whether you’re looking to purchase new, used, certified pre-owned, or are still undecided, you’ll be greeted with plenty of options at a dealership like Vogler Ford. #6. What is Certified Pre-Owned? #7. So, New, Used, or CPO? This can be a tricky question as the type of vehicle you purchase will ultimately come down to your personal preferences. If you’re interested in a vehicle with all of the latest safety and entertainment technology on the market that will last for years to come, a new vehicle might be the right option for you. But if you’re looking to save money on a high-quality vehicle that has proven its dependability over time, a used vehicle could be your best bet. Are you looking to save money but are nervous about the quality of a used car, a certified pre-owned vehicle might be the right fit. Overall, choosing whether to purchase new, used, or CPO will come down to your personal preferences, budget, and needs. No matter which type of vehicle you choose, Vogler Ford has an extensive inventory full of high-quality options. #8. Can I Finance a New Ford with Poor Credit? Yes! At dealerships like Vogler Ford, drivers can finance the purchase of their next vehicle with even little to no credit. Our experienced finance team has the knowledge and resources to secure the proper finance for your credit situation. They will listen to your budget, needs, and concerns and help you determine the best form of financing for you. At Ford dealerships near you, there are definitely vehicles for lease available! Leasing is beneficial for drivers looking to upgrade their vehicle every couple of years, maintain low mileage, and who are prepared to take excellent care of their new vehicle. Leasing may not be suitable for drivers who travel extensively and will likely put a lot of wear and tear on their car. If you’re interested in leasing, talk to your local dealership like Vogler Ford and learn more about their available leasing programs and terms. #10. How Will I Know I’ve Chosen the Right Ford Dealership Near Me? If you’ve found a Ford dealership near you that meets all of these requirements, you’ve most likely found an excellent place to purchase your next vehicle. If you’re in the Carbondale, Illinois area, Vogler Ford will be able to check off all of these important factors and more. Have More Questions About Your Next Ford? Visit Vogler Ford Today! While we’ve answered some of the most pressing questions drivers face when choosing a Ford dealership, we know you probably have more. From concerns about your Ford models of interest to how to secure financing and what regular maintenance we suggest for your new vehicle, the staff at Vogler Ford is happy to provide you with answers. We are dedicated to serving Illinois with superior customer service and only the most high-quality new, used, and certified pre-owned vehicles. Our showroom and service center maintain flexible hours so that you can stop by before or after work, and even visit on the weekend. No matter what you need for your next vehicle, we are happy to be your Ford dealership of choice. So the next time you find yourself searching, “Ford Dealerships Near Me,” check out our website, give us a call, or come out and visit us!